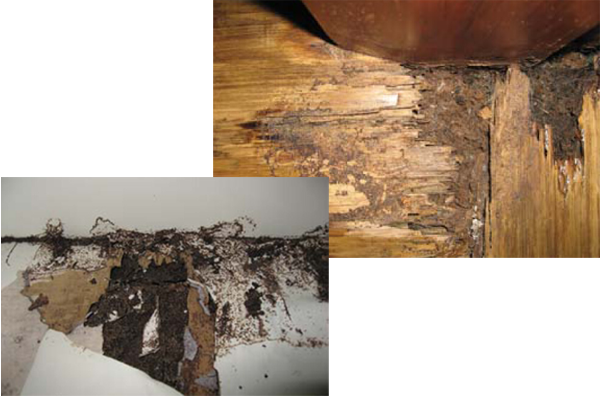 Termites are no doubt, one of the most feared residential pests. They work in colonies, day and night nonstop foraging for food from all your wood structures. Once they lay eyes on the scrumptious beam, they will tear it down endlessly. They work in such harmony and coordination, that it is usually too late when you finally discover of their existence, because damage is done. There are many species of different termites in Malaysia, but we usually deal with some more commonly found ones. For example, subterranean termites. They feed exclusively on wooden structures and products containing cellulose. This is due to their unique digestive systems, whereby their intestinal and digestive structures contain high amount of protozoa that provides enzyme to properly digest cellulose. Termites are able to chew off fragments of wood using their jaws, and they can infest buildings and damage any wooden elements, like panels, flooring, paper products such as wallpaper, wooden furniture etc. The critical damage is often done to important structures around the home that could cause serious structural damage. HOW DO I KNOW IF MY HOUSE IS INFESTED WITH TERMITE? HOW DO I KNOW IF MY HOUSE IS INFESTED? Check around your house from time to time, especially near light sources after rain. Check closely around your doors and windows frame, most especially if they are wooden frames. Some gnawing sounds around wooden surfaces. WHY IS EXTEMINEX BAITING TERMITE SYSTEM USEFUL? Conventional termite treatments like drilling and making use of high amount of chemicals in treated area still has its place depending on condition and infected areas. However, modern treatments involve much sophisticated and clean methods, like Exterminex Baiting System. This system allows for a holistic termite control treatment, it requires modern tools to completely remove the colony from your home. Briefly, we strategically place plastic sleeves around infected areas. These plastic sleeved will be filled with garments of wood, paper products and various sellulose based products acting as "monitors" to gauge termite activities and infestations. When termites are detected in these plastic sleeve stations, we will replace them with another bait that contains a powerful termiticide. On top of replying on monitoring stations around your home, we will also be placing some baits above ground to strategic uses. This method is proactive as bait stations. 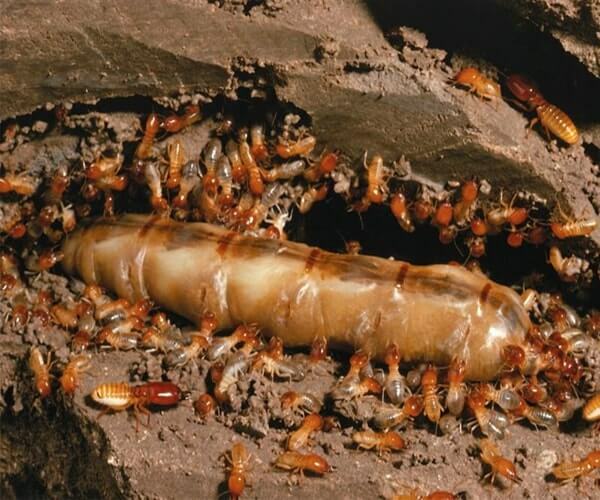 Termite infestations are treated when seen. Instead, above ground stations work immediately the moment they are installed. 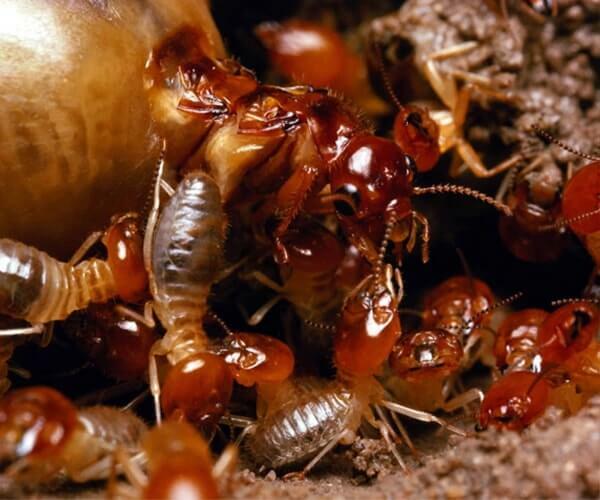 Baits are most effective to the termite workers, because they are responsible in relaying the message to the other colony members about the food source. This will lead the entire colony to the termiticide for a complete extermination.